Ample Strike 2016 bomber FAC exercise. From 30 August to 20 September 2016, the international Forward Air Controller (FAC) exercise Ample Strike 2016 was taking place in the Czech Republic. The exercise counted 17 participating countries. The Ample Strike series started back in 2012 as exercise Ramstein Rover, organised by NATO’s Air Command at Ramstein, Germany. Since 2014, the Czech Republic has taken over the lead over this exercise, and changed its name to Ample Strike. The training is annually recurring, to increase readiness of multiple nations that are participating in the event. Each nation is bringing their own learning objectives which they’ll execute, and learn from each other. The goal of the exercise is to provide valued training for international FAC teams, but also for the Czech Republic to demonstrate their capability to act as host country in support of a large number of Allied troops. The main operating base for the exercise was the 22nd Helicopter Base Sedlec, Vícenice in Namest nad Oslavou. Beside participation from the Czech air force, notable flying participants were German Luftwaffe Tornadoes, Polish Air Force Su-22 aircraft, U.S. Army Apaches, and PC-9s from German training company E.I.S. They were allowing FACs to work with various aerial platforms. 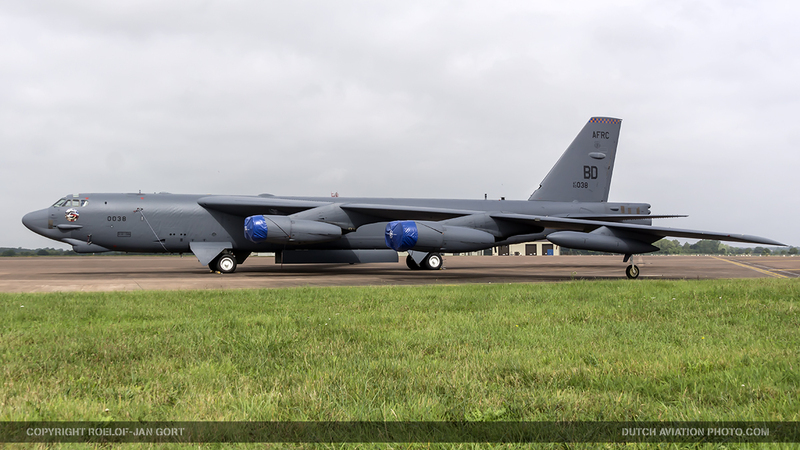 Most notable however was the participation of United States B-1 and B-52 bombers, operating from RAF Fairford in the United Kingdom. 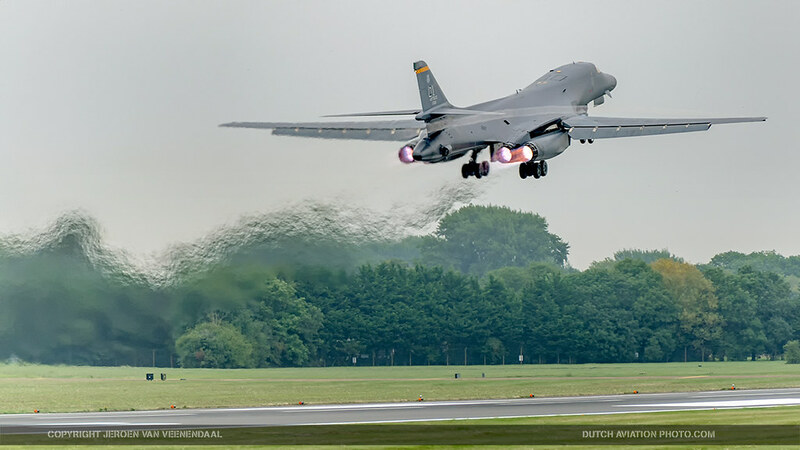 U.S. bombers participate in international training exercises fairly frequently and an international CAS (close air support) exercise like this is a fairly common occurrence. 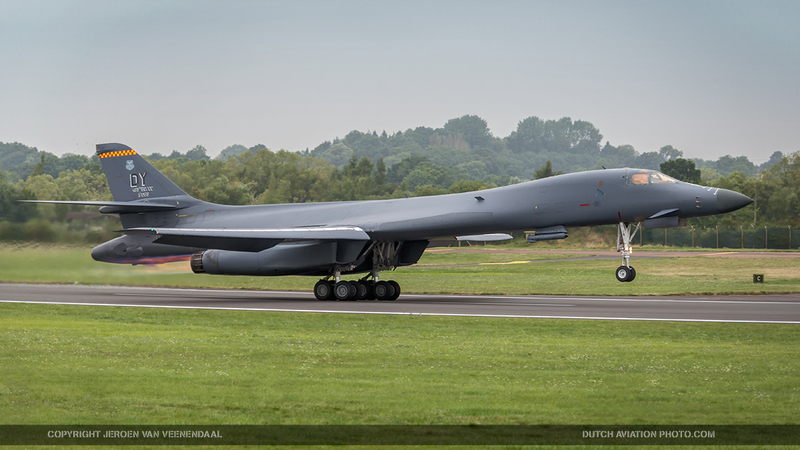 Unique though is that this is the first joint B-1 and B-52 deployment in support of an international exercise, at the same airfield. 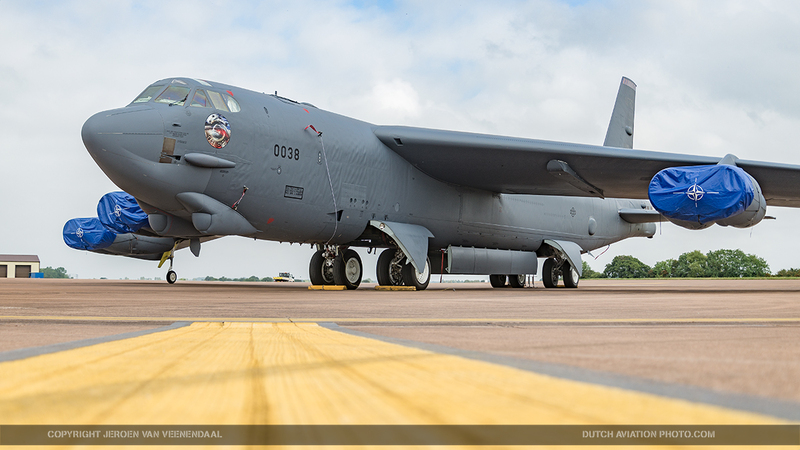 The bombers mission was to provide close air support training for the joint terminal attack controllers (JTAC) and forward air controllers (FAC). We spoke to Capt. 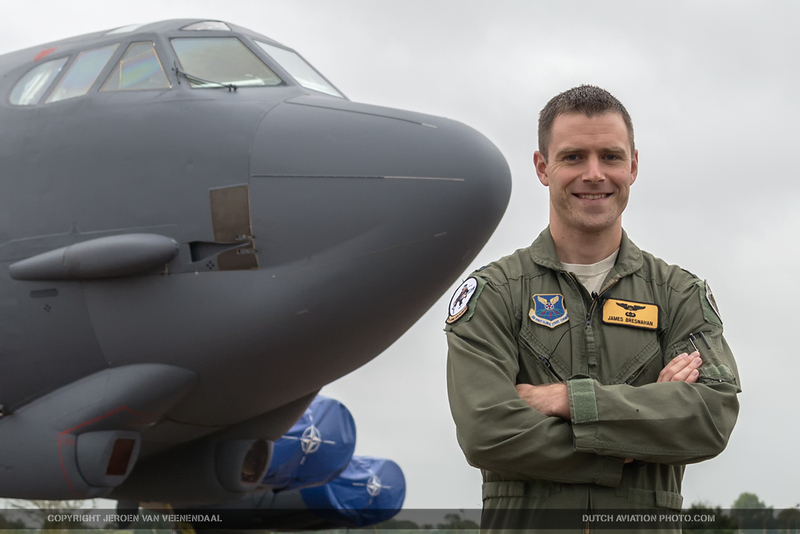 James Bresnahan, Instructor pilot at the B-52 formal training unit, and asked him about the objectives of the exercise. He told us it’s beneficial to all participating parties that all the controllers get appropriate training on the ground. 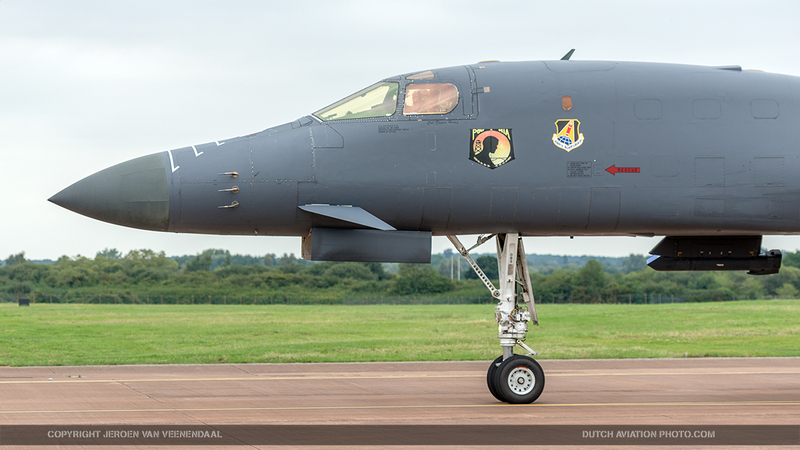 “Their readiness is increased, they have interoperability. 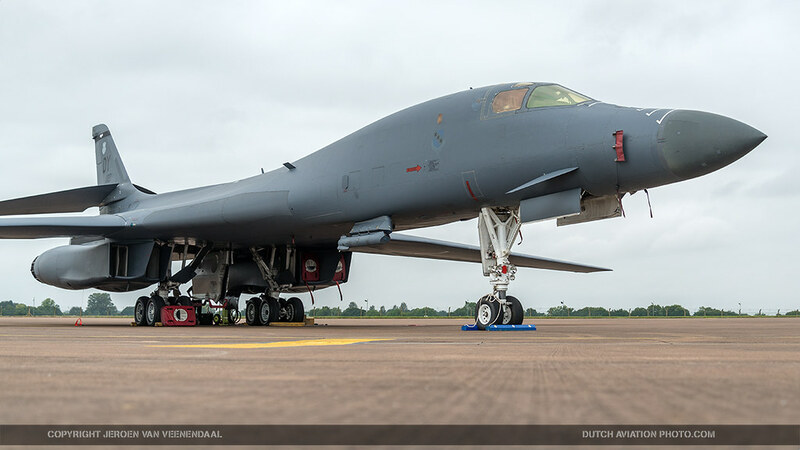 And they provide us training overhead as well.” But the participation of the American bombers is not solely for training purposes, it’s also about assuring allied nations that they are present and involved. Showing they can be “a deterring force for any adversaries that would pose us any kind of harm” as Capt. Bresnahan puts it. 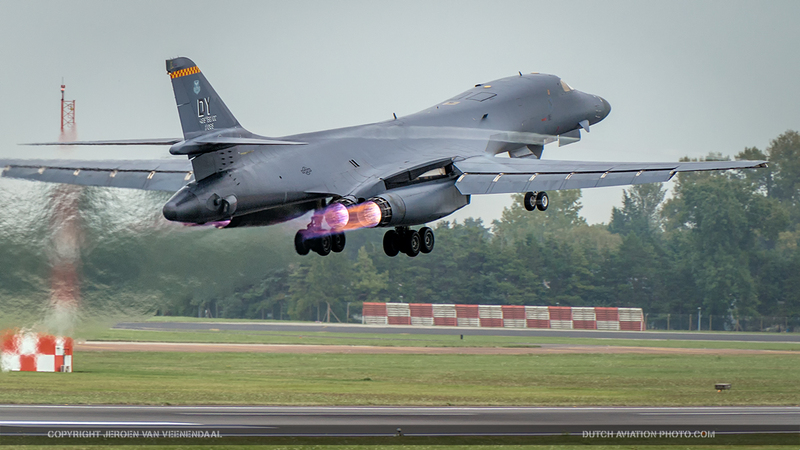 For the bomber crews, the exercise can be very dynamic. It’s not all pre-planned, they have a planned tasking prior to taking off with basic information who they have to contact and what type of unit needs support. “But we show up on station it could be very dynamic. So we have to react to the situation, and respond to what the controllers on the ground request of us.” The missions that were executed during Ample Strike were single ship missions, and no actual ordinance was being dropped. 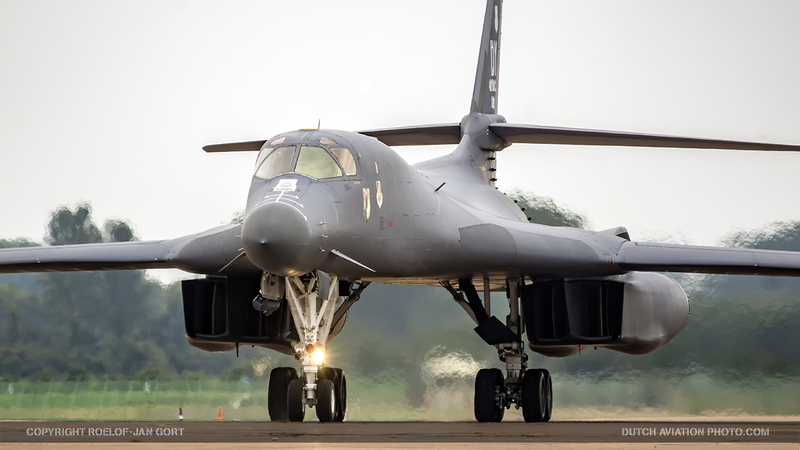 The bombers can fly up to twelve hours on their onboard fuel supply, so there was no need for aerial refueling during the missions. Feedback on the mission execution was done through e-mail and by phone for assessing and updating the scenario for future sorties. The bombers flew over regular traffic airways to and from the Czech Republic. 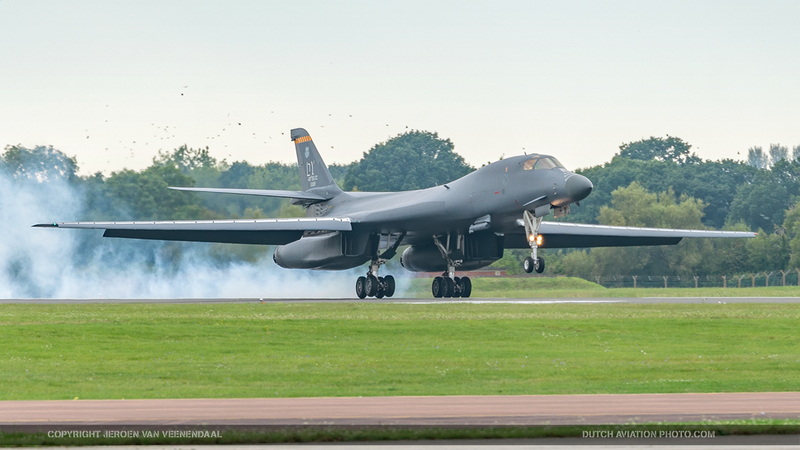 There’s a unique part about the participation of the B-1 bombers. They are flown and maintained by reservists. It’s a program called Total Force Integration (TFI). Reserves integrate with active duty personel, and share aircraft to better utilize expensive assets. Colonel Heinz was a reservist too, after flying B-52s for 25 years. He did ten years of active duty and then joined the reserves. He made a living being a pharmaceutical representative. 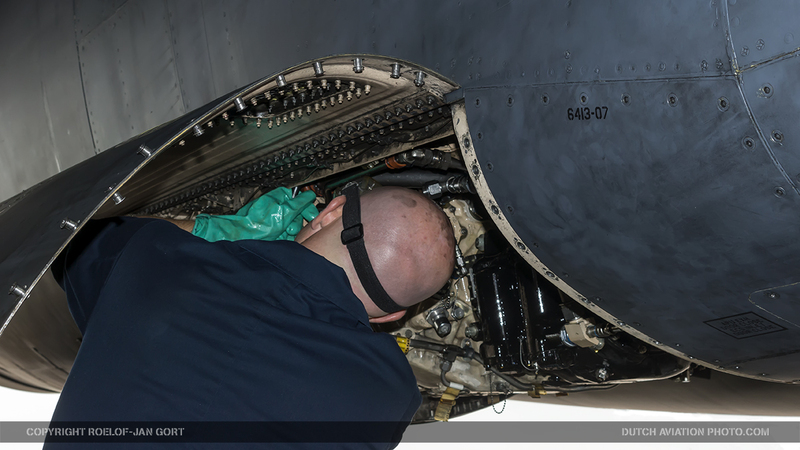 He explains how it works: “Active duty owns the airplanes, they own the mission. 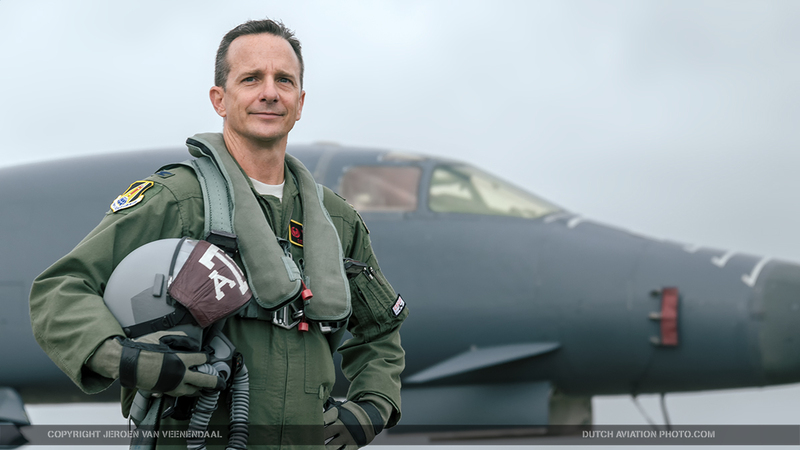 We show up with extra pilots, and our whole job is to support their mission.” But it can also be the other way around, like in the 11th Bomb Squadron. 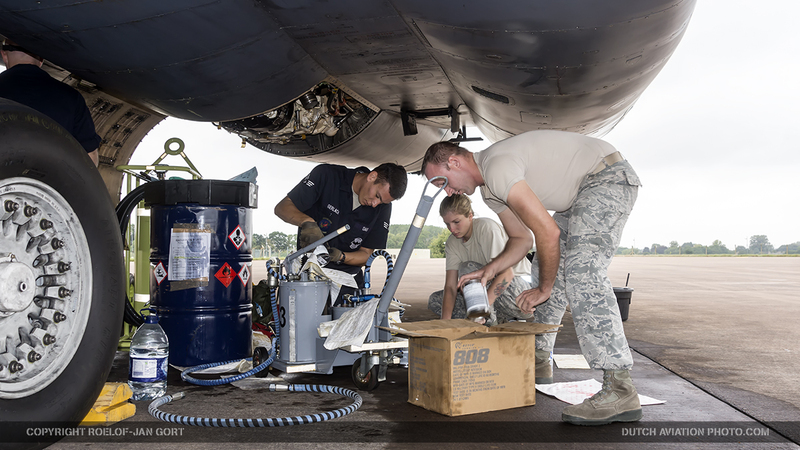 The reserves own the airplane and the mission and the active duty help support them. Captain Bresnahan calls the B-52 “a time honored aircraft, that has displayed deterrence and assurance for its entire career.” And what a career it was, production started in 1960 and since then the B-52 had multiple avionics, communications and weapons upgrades.Throughout all of its history the Buff, as it’s nickname sounds, has been used. Some notable conflicts were the Vietnam war, Operation Allied Force and currently Operation Inherent Resolve. It’s able to carry the widest variety of weapons in the U.S. inventory. 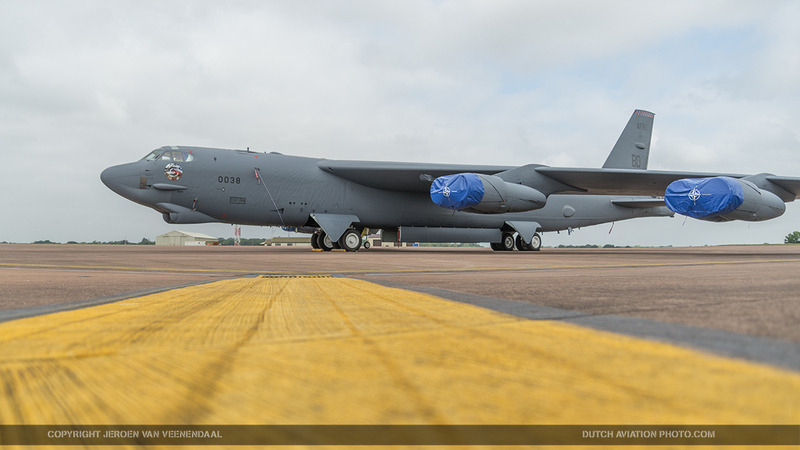 But it continues to be relevant and operational, as bresnahan clarifies: “We plan to fly the B-52 for an additional 25 or 30 years, with more updates to follow.” Captain Bresnahan is happy with that: “It’s a pretty cool aircraft. I got the chance to fly another smaller plane, but was excited to get back to the Buff and I’m happy to continue flying. During World War II, the 489th Bombardment Group was a Consolidated B-24 Liberator unit and was stationed at RAF Halesworth. The group was inactivated on 17 October 1945. There’s a lot of history from World War II. Lieutenant Colonel Leon Vance of the group was awarded the Medal of Honor for his bravery and actions on the day before D-Day over Wimereux, France. It was the only Medal of Honor awarded to a B-24 crewman for a mission flown from England. Heinz notes: “That’s probably what helped historians elevate the 489th on the list of possible names. The unit is still hiring to get up to a total of 250 persons. This was their first deployment. They are not initially operational capable. Heinz sees that as “a testament of the success of how fast we’ve hired, and how well we’ve done, so that we’re actually leading this exercise. The active duty 7th Bomb Wing, own the airplanes. 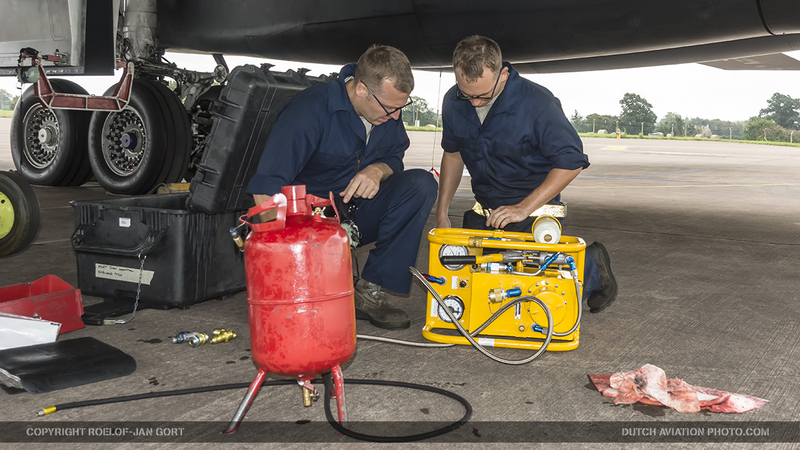 The 489th Bomb Group helps fly, train and work with them. 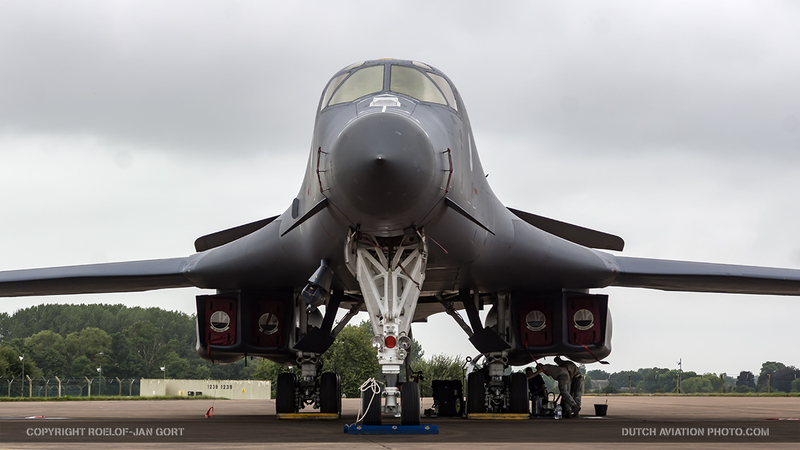 We would like to thank the Fairford and USAF PAO team for making this article possible. 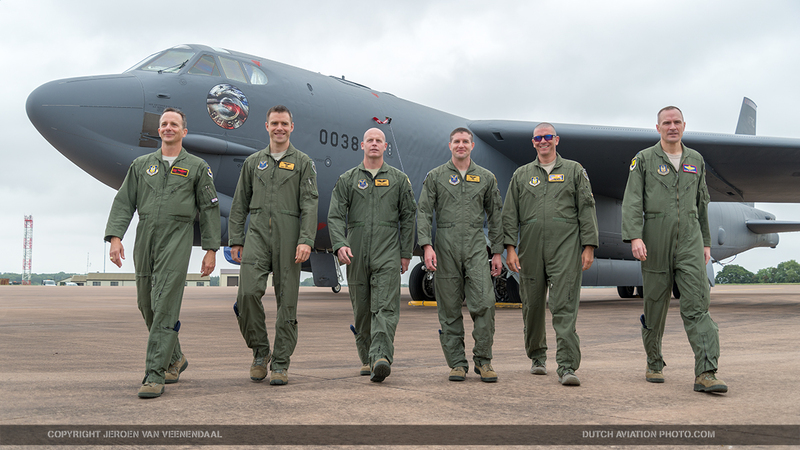 Our special thanks goes to Colonel Denis Heinz, Commander of the 489th Bomb group (B-1B) and Captain James Bresnahan, Instructor pilot at the B-52 formal training unit. Aerospace & Defence Korea 2016-11. Article and 9 images. Global Military 2016-11. Report and 9 images. Koku Fan Magazine 2016-11. Report and 6 images. Ptisi & Diasma 2017-01. Report and 9 images. Siivet Finland December 2016. Report and 2 images.